This recipe evolved from a few inspirations. I love rice crispy marshmallow bars but they are made with way too much sugar. I follow many vegan recipe developers and so I took a few of their ideas and put this together, adding my own twists until I found a square which holds together with low sugar, gluten free and dairy free. 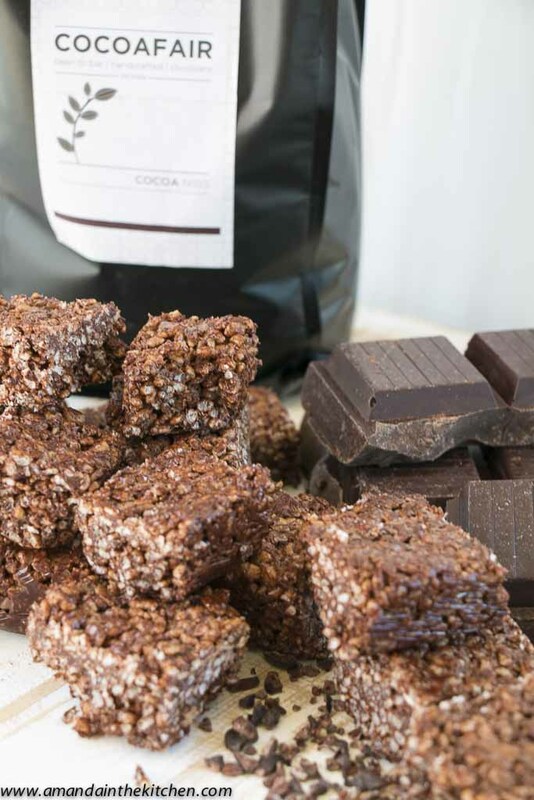 I used the wonderful products made by Cocoafair – a bean to bar chocolatier in Cape Town. Their dutch pressed cocoa powder is a staple in my home, as are their chocolate nibs. These crispy crackle squares taste really good, I’ve tested them on some hardened sugar addicts and they love them. 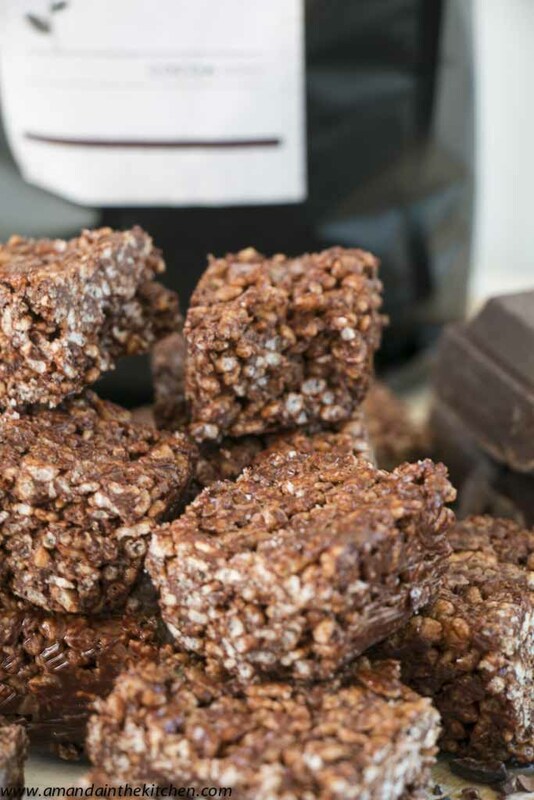 A decadent chocolate treat, great for lunch boxes, packed with anti-oxidants and energy. Combine the coconut oil, maple syrup and the chocolate; melt slowly in a saucepan. Using a whisk, add the cocoa powder and mix until lovely and glossy. Add the rice crispies, coconut and the nibs; mix until all are nicely coated and combined. Line a 22cm x 22cm tin with cling film and press the mix into the dish. I like to lay a cloth onto the top and press very hard with the palm of my hand until the crackles are all firmly pressed down. Pop this into the freezer for about 30 minutes to harden before cutting up into squares.